A screenshot of the video. A large crowd gathered and cheered as the girls threw punches at each other. 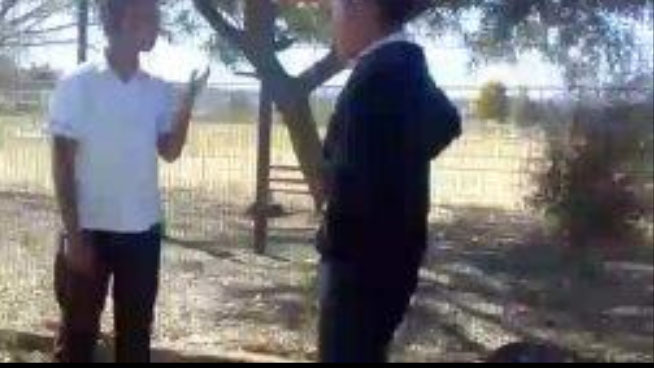 A video showing high school girls fighting outside their school has gone viral on social media, reports Ladysmith Gazette. It is believed that the fight took place sometime last week just outside the school premises, but the name and region of the school is not yet clear.